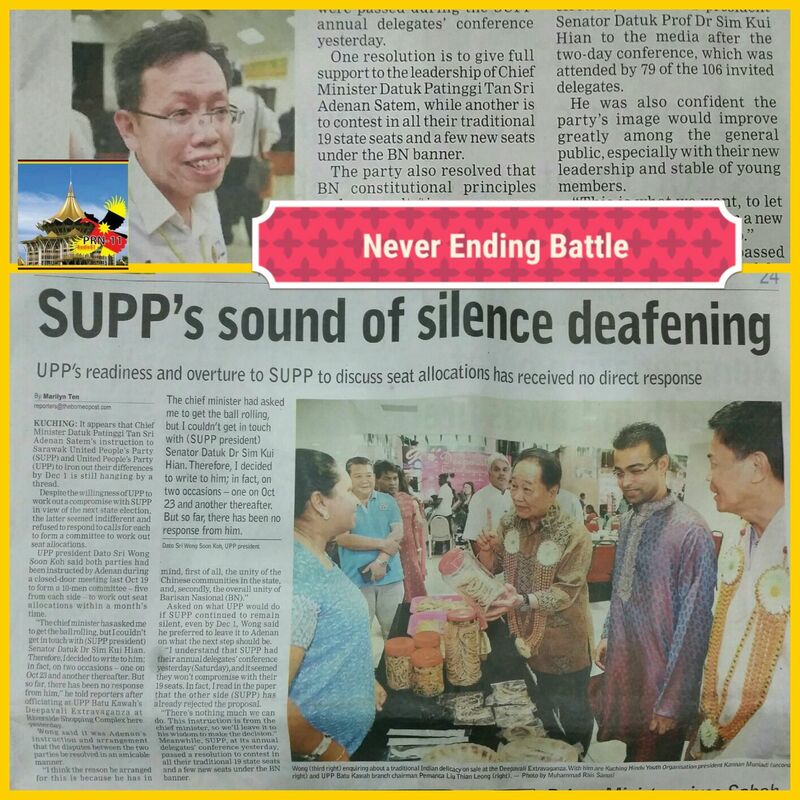 Seriously, as “election looms” all parties and candidates within the BN Sarawak coalition will be frantically fighting for what is theirs. The only safe seat though will be the Chief Minister’s seat . Do we need to say more? You figure it out…! This article is extracted fully from antdaily and written by Joseph Tawie. 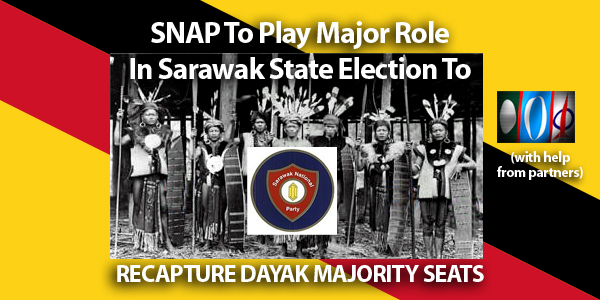 Parti Tenaga Rakyat Sarawak (Teras) is said to be so desperate to win the support of voters and the rural folk that it has to resort to using the names of Chief Minister Adenan Satem and Prime Minister Najib Razak to convince them in its war of attrition against its bitterest enemy – Sarawak Progressive Democratic Party (SPDP). Typical of its leaders’ argument is that its president William Mawan Ikom is in the Cabinet of Chief Minister Adenan Satem. And that the party is also allowed to use BN facilities. If the chief minister is not supportive of Teras, Mawan would have been dropped as social development minister, they said. Even Mawan himself was reported to have said that “if we are not BN then how is it that party leaders are allowed by top BN leadership (Adenan and Prime Minister Najib Abdul Razak) to talk about BN, use BN facilities and distribute MRP funds and announce BN development projects like other BN elected representatives? “Teras is a BN party as it was born inside BN. It will be just a matter of time, technicality and formality before other component parties in BN accept us,” he said. 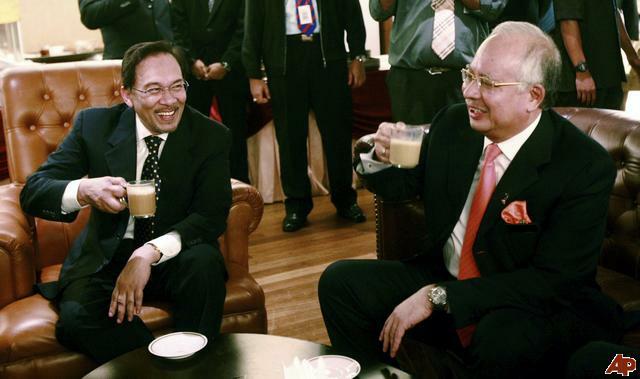 His party is not only a member of the Sarawak BN, but it is also a “true blood” of BN because it was born inside BN. By using this tactic, Mawan and Teras leaders may win the hearts and minds of the simple-minded rural folk, but it can backfire on them. According to PBB sources, Adenan is not happy with Teras leaders as they have put him in a hot spot where he would be criticised by leaders from SPDP, Sarawak United People’s Party and Parti Rakyat Sarawak for being biased. They want him to be hated by SPDP, SUPP and PRS which are members of the State BN, said the PBB sources. “This is a bad move on the part of Teras, and it should not resort to name-dropping of the chief minister to win support,” they said. True, Teras leaders cannot bluff people as the facts are obvious that they and the leaders of United People’s Party (UPP) are not invited to any BN function. The absence of Teras and UPP elected representatives at a meeting between Deputy Prime Minister Ahmad Zahid Hamidi and BN elected representatives in Kuching last Saturday spoke volumes of the fact that the two parties are not members of BN despite claims by the two parties. After the meeting, Adenan said that the majority of the incumbent elected representatives from BN would be retained in the coming state election. No mention was made with regard to the future of the five elected representatives from Teras namely William Mawan Ikom (Pakan), Peter Nansian (Tasik Biru), Sylvester Entri (Marudi), Rosy Yunus (Bekenu) and Paulus Palu Gumbang (Batu Danau), and from UPP’s Wong Soon Koh (Bawang Assan), Johnichal Rayong (Engkilili), Ranum Mina (Opar) and Jerip Susil (Bengoh). Again at the BN Youth meeting during the weekend in Ulu Belaga, youths from Teras and UPP were not invited. What does all this show if not for the fact that they are outside BN. Meanwhile, heated debates are raging between Teras leaders and SPDP leaders whether Teras is a member of State BN or not. SPDP vice-president Rayan Narong accused Mawan of being out of touch with reality and of being arrogant for ignoring the joint stand of SPDP, SUPP and PRS. The three BN component parties would strongly oppose the entry of Teras into the ruling coalition. 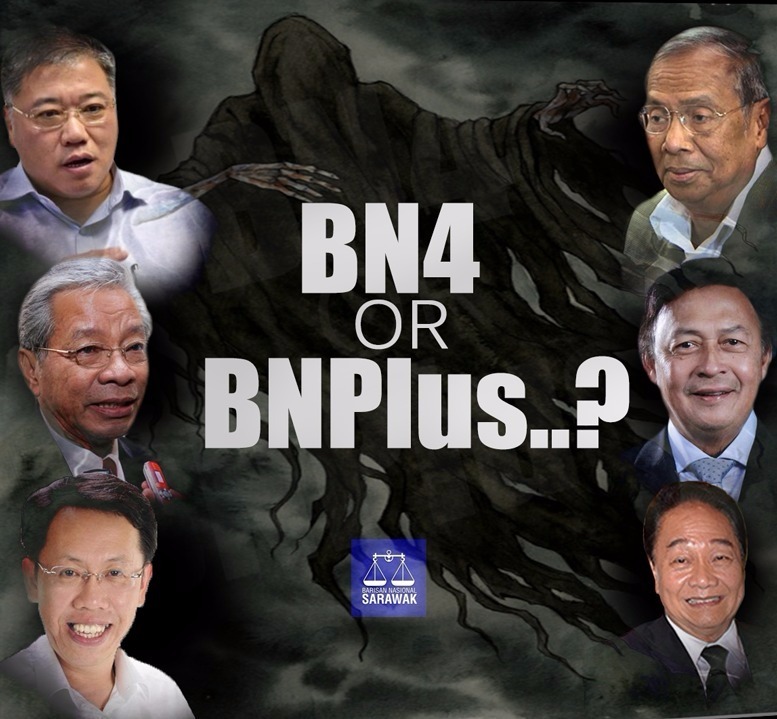 “The key to BN holding on to power is unity among the component parties. Does Mawan think the ruling coalition is willing to break up this unity just for the sake of Teras?” said Rayan. “Technically it is impossible since the BN agreement stipulates that all the component parties must agree before any party can be admitted into its fold and SPDP, SUPP and PRS have made their objections to Teras joining BN very clear,” he said. Any truth? They even said that they are in negotiation with a China firm to print the Tshirts for their supporters and distribute it throughout Sarawak. The wordings of the Tshirt will take the form of “Do you want Sarawak to be run by only ONE MAN.” There will be printed in different colours and design. We are under strict orders not to print the names involve in this Political Concept. There are very serious as negotiations are ongoing and it certainly will be a very tough outing for the State BN ruling government. It will even be as close as the 1987 affair when there were only 48 seats available to wrestle. 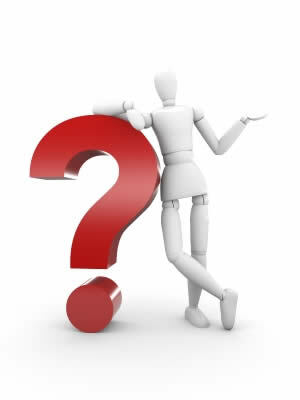 You make your own assumptions……!!! !